Japan has the most centenarians in the world. But even more notable is their quality of life, which is far better than one would generally suppose for such elderly people. This is the story, with concrete facts, of these centenarians and the habits that have lengthened their lives. How long do they sleep? Are they still professionally active? 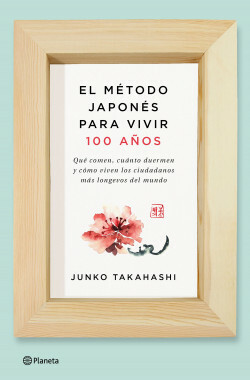 In this book, all these questions are answered by people such as Mieko Nagaoka (100 years old), Hidekichi Miyazaki (104), Doctor Shigeaki Hinohara (104), and the photographer Tsuneko Sasamoto (100). Learn to live longer by taking care of your mental and physical health. The ABC of well-being and longevity. Albin Michel (France), DeA Planeta Libri (Italy), Czarna Owca (Poland), Planeta Manuscrito (Portugal), Xander Uitgevers (The Netherlands), Eksmo Publishing (Russia), Publishing House Briedis (Lithuania).